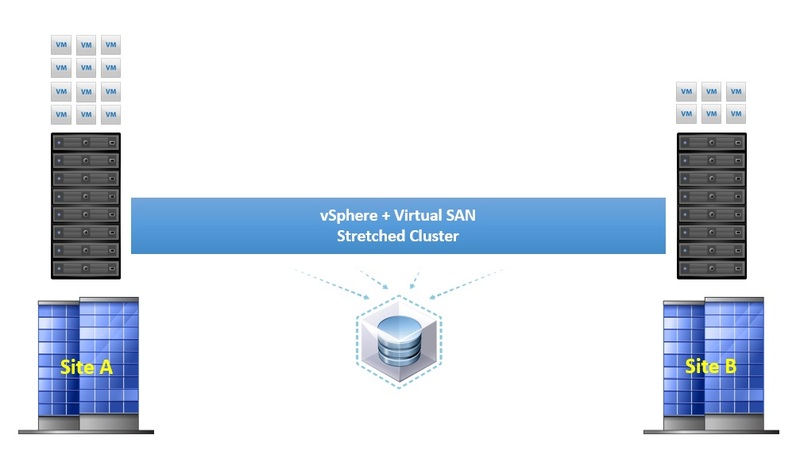 In the above scenario, we have virtual machines running on both sites so this is considered an Active/Active configuration, the Virtual SAN datastore is still a single datastore that covers both the sites as each site contributes storage to the VSAN datastore by equal capacities so in essence you have 50% of the VSAN datastore capacity on each site. 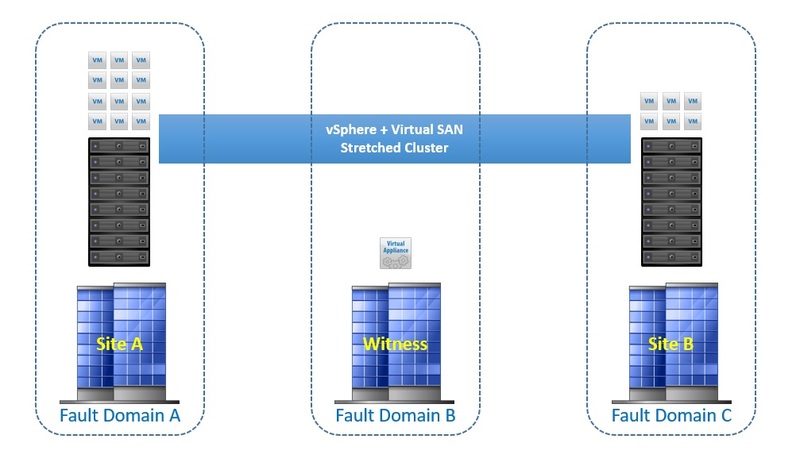 There is one question that springs to mind straight away based on the functionality of Virtual SAN….What about the Witness?.? 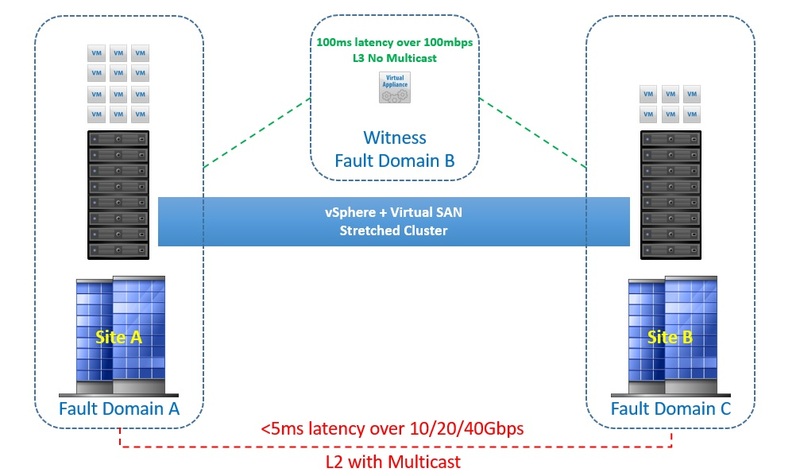 As we know already the function of the witness is to provide >50% voting mechanism, and this is still the same in the stretched cluster, the witness still exists but this time in the form of an appliance based ESXi host which can be hosted on a third site, or even in vCloud Air. The witness only contains metadata, there is no I/O traffic from the virtual machines or VMDK data on the witness appliance, there are some space requirements for the Witness appliance though, each disk object residing on Virtual SAN needs 16Mb of storage on the witness, for example if you have 1000VMs and each VM has 4 disk objects, then the space requirement would be 4000 * 16 = 64Gb.? Each VMDK on the appliance is limited to 21000 Objects with a maximum of 45000 objects per stretched cluster.? The VMDKs for the appliance can be thin provisioned if needed in order to save space. As you can see from the above image, the connection between the two sites must be at least a 10Gbps connection with latency no higher than 5ms, remember when a virtual machine submits a write, then the acknowledgement only comes when both sites have received the data with the exception of one site being down.